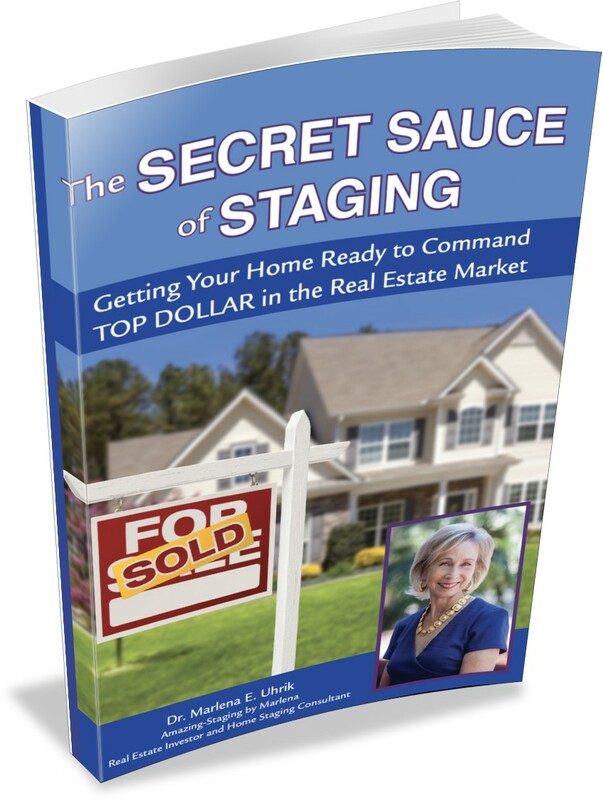 Grab a Copy of Marlena’s Book, The Secret Sauce of Staging – Getting Your Home Ready to Command TOP DOLLAR in the Real Estate Market! Need to sell your home now? Need quick tips for a home makeover? If you want to know how to sell your home quickly, and for top dollar, you want to grab this book! 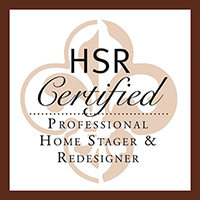 Discover Home Staging secrets, strategies, and tips from a former Clutter Queen, now turned professional Home Stager. Gain confidence as you super-charge yourself with the tools you need to help plan, organize and create the perfect space that will “WOW” yourself and others. Learn what experts do to create dramatic “Before and After” effects, for maximum value and with minimum effort. Your home will sell FASTER. You will make more MONEY. You will get a good Return on Your Investment. This is a great book about staging! I just had to stage my home and when I did some of the things Marlena suggested, we got 2 full price offers in less than 4 days! Great tips in here. I highly recommend it for do-it-yourselfers or realtors, as many realtors have no clue what to do. 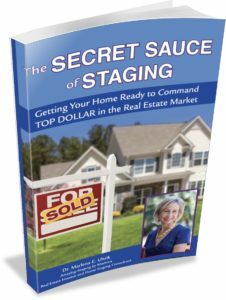 The Secret Sauce of Staging is a must read – whether you are moving, doing a room makeover, or just plain curious! GRAB YOUR COPY NOW ON AMAZON! Marlena Uhrik attributes her amazing ability to stage houses to the first house she ever staged – her favorite dollhouse! Even then, she loved the creative process of moving things around to have that transformational “aha” effect. 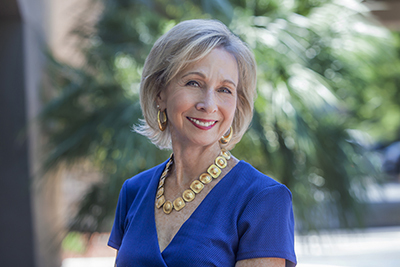 She has professionally staged homes in the Sacramento region for the last 10 years, and is especially sought after by real estate agents, brokers, and real estate investors of which Marlena is one herself. Read more about Marlena here.